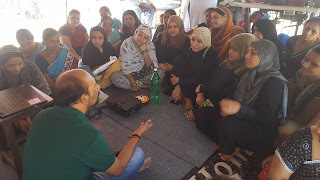 Mumbai, 20-March-2018: The Don Bosco Development Society (DBDS), Mumbai organized an interactive session on the topic of ‘Savings, investments and Financial Planning’ The workshop was attended by women from low income group residing in the slums of Ashok Nagar (Kurla). 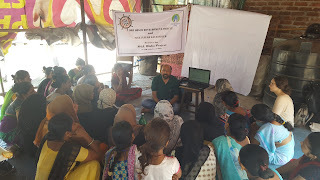 Around 45 women participated in this workshop which was organized under the aegis of ‘MGL Disha Project’ supported by Mahanagar Gas Ltd.
First session was on effect of inflation on the savings and investments. This was followed by a session on Ponzy schemes which gave them information on dubious schemes which are scams. 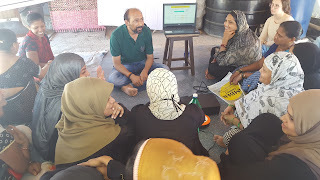 The session on small saving schemes gave them the knowledge of the various saving schemes run by post offices and how saving in these schemes can create wealth for them. 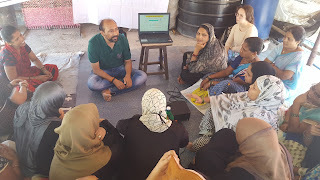 The session on insurance gave them knowledge of the health insurance schemes and difference between risk coverage and investment in insurance. The workshop ended on a positive note as participants were motivated to start investing in small savings to meet their financial goals. The Vote of Thanks was proposed by Ms. Zarina Khan (Staff – DBDS).